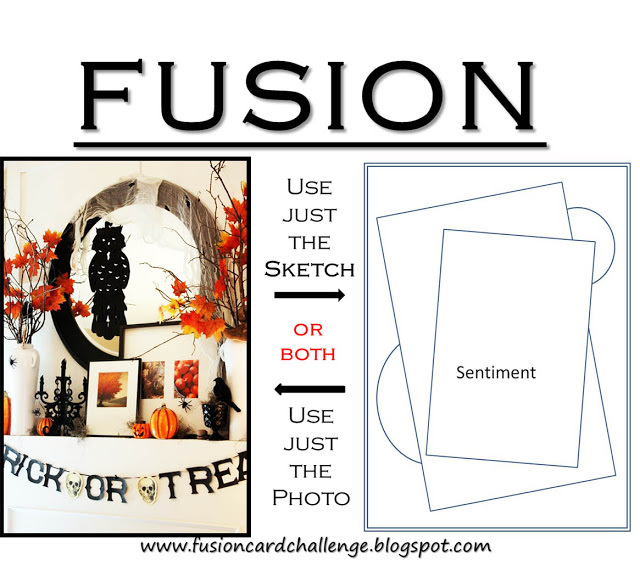 Today's the start of the next fortnightly Fusion Challenge - and it's an All Hallows Eve inspiration photo for us this week along with a wonderful layered panel sketch. 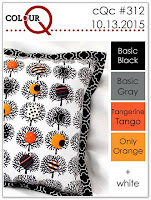 We had so many beautiful fall creations last challenge - you guys are just creatively awesome!! 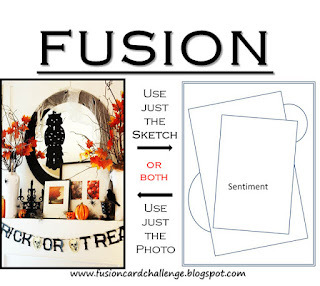 As always you can be inspired by the photo or by the sketch - OR you can do a Fusion and be inspired by both! I was inspired by both this week - using the candelabra from the photo and using the sketch for my card design! I used orange and diamond stickles on the candles for the flame and the wax drip - but as they dried - they look the same color - opulescent glittery - I think it's because the background is black?! The candelabra is an older Tim Holtz die called Candlelight Fright. I cut it out of Onyx Shimmer paper from PTI so it has a little shimmer to it IRL - not sure if you can see it in the close-up photos. The Halloween patterned papers are from a 6x6 pad from Authentique called Enchanted. I added a spider and skull rub-ons from Remnant Rubs/Curiosities and a Small Talk Sticker/Occasions - all from Idea-ology/Tim Holtz. How will you be inspired this fortnight? Please check out all the challenge details and the wonderful inspiration from the rest of the Design Team over at The Fusion Challenge. 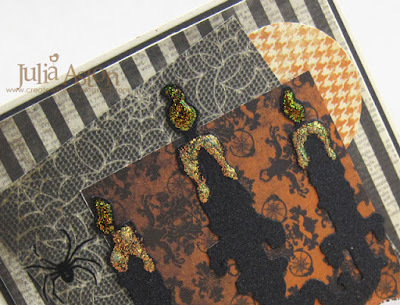 Accessories: Idea-ology - Remnant Rubs/Curiosities and Small Talk/Occasions, Candlelight Fright Die - Alterations/Tim Holtz, Orange Peel and Diamond Stickles. Great atmospheric layers - love those dripping candles too! Ever so spooky. Love the dark atmosphere of this card and all the different patterned papers you used. 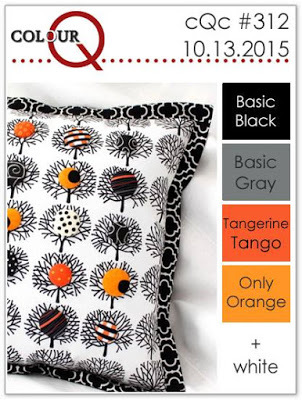 Thanks so much for playing along at ColourQ this week. Wow this is fabulous. 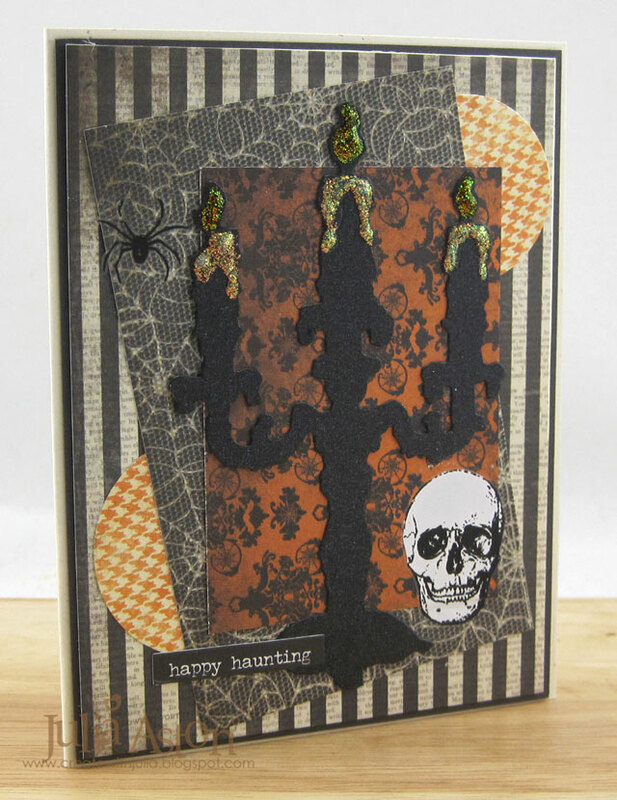 I adore the candle wax, a really spooky card, full of atmosphere, feels like it should be the back drop to a horror movie! This is such a fabulous card! The patterns work so well together and the candelabra is amazing! 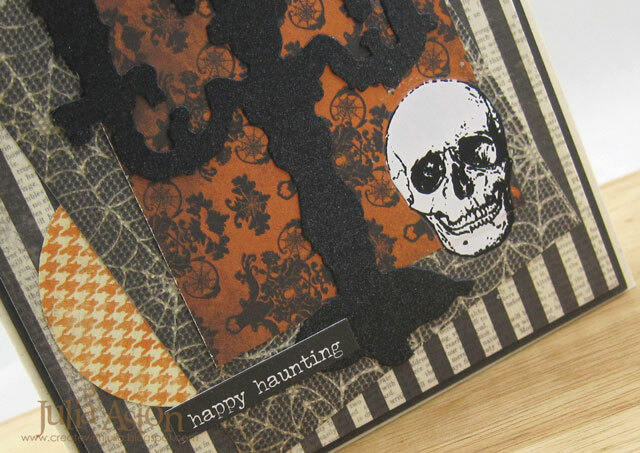 This is an amazing yet spooky card! Love it!!! love that you picked up on the candlestick, super cool and Spooky! Beautiful! Love that shiny candelabra!